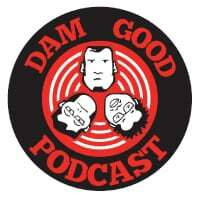 This weeks episode of the Dam Good Podcast is all about AMERICA! Stefan Gearhart, Rocky Williams and Parker Bowles, take you through a journey of celebration of the greatest country on Earth, the United States of America in this July 4th edition of improv comedy. Special guests, Mark, Dawson, and Bocephus from the Redneck Movie Review!